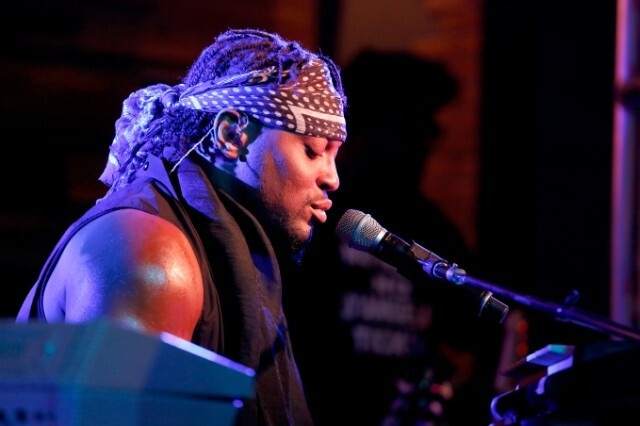 After his surprise comeback album Black Messiah snuck its way to release at the tail-end of last year, D’Angelo has announced a tour to accompany the record. The R&B legend and his band the Vanguard briefly toured internationally after the album’s release, and will now tour in the U.S. The Vanguard is as follows: Jesse Johnson and Isaiah Sharkey on guitar, singers Kendra Foster, Charlie “Red” Middleton, and Jermain Holmes, Cleo “Pookie” Sample on keyboards, Pino Palladino (of the Who) on bass, and Chris “Daddy” Dave on drums. Tickets for The Second Coming tour go on sale at 10AM on 5/1. Check out the full dates below. Black Messiah is out now via RCA.